You are at:Home»iPhone»Wireless»My iPhone Won’t Connect To Bluetooth! Here’s The Real Fix. My iPhone Won’t Connect To Bluetooth! Here’s The Real Fix. Your iPhone isn’t connecting to Bluetooth and you’re not sure why. Bluetooth is a technology that wirelessly connects your iPhone to Bluetooth devices, like headsets, keyboards, or your car. There are a number of reasons why Bluetooth won’t work on an iPhone, and we’ll walk you through the troubleshooting process step-by-step. In this article, we’ll explain why your iPhone won’t connect to Bluetooth and show you how solve the problem once and for all. If you’re having trouble connecting your iPhone to car Bluetooth specifically, we recommend taking a look at our article How Do I Connect An iPhone To Car Bluetooth? Here’s The Truth! There are a few things we need to make sure are happening before your iPhone can pair with a Bluetooth device. First, let’s make sure Bluetooth is turned on. To turn on Bluetooth, swipe up from the very bottom of the screen to open Control Center, and then tap the Bluetooth icon . You’ll know that Bluetooth is on when the icon is highlighted in blue. If the icon is gray, you may have accidentally disconnected from Bluetooth devices until the following day! Second, we need to make sure that the Bluetooth device you’re trying to connect to is in range of your iPhone. Unlike Wi-Fi devices that can connect from anywhere (as long as they’re connected to the internet), Bluetooth devices are dependent on proximity. 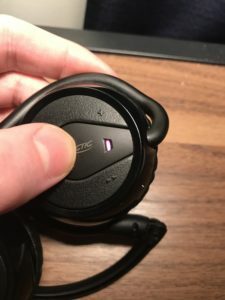 Bluetooth range is usually about 30 feet, but make sure your iPhone and device are right next to each other as you go through this article. If your iPhone won’t connect to Bluetooth, begin by trying to connect it to two separate Bluetooth devices one at a time. 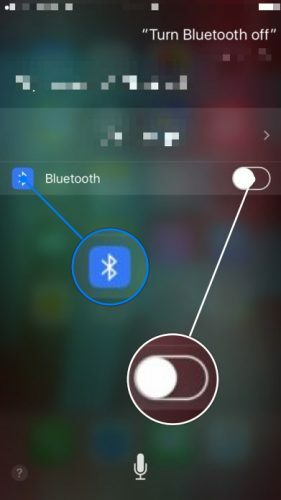 If one Bluetooth device connects to your iPhone while the other doesn’t, you’ve identified that the problem is with the particular Bluetooth device, not your iPhone. If your iPhone still isn’t connecting to Bluetooth, we’ll need to go a bit deeper to diagnose your problem. First, we need to find out whether the problem is being caused by your iPhone’s software or hardware. Let’s address the hardware first: Your iPhone has an antenna that gives it Bluetooth functionality, but that same antenna also helps your iPhone to connect to Wi-Fi. If you’re experiencing Bluetooth and Wi-Fi problems together, that’s a hint that your iPhone may have a hardware problem. But don’t give up — we can’t be sure of that yet. 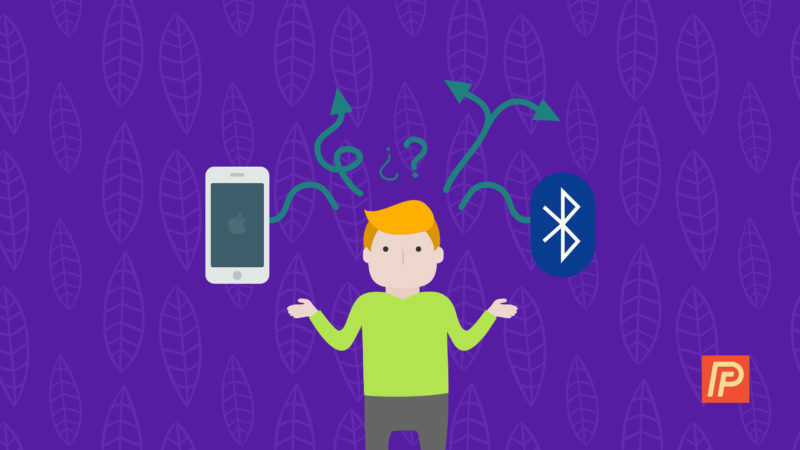 Follow our step-by-step walkthrough to figure out why your iPhone won’t connect to Bluetooth so you can fix the problem for good! Turning your iPhone off and back on is a simple troubleshooting step that can fix minor software glitches which could be the reason why your iPhone won’t connect to Bluetooth. First, press and hold the power button to turn your iPhone off. Wait for slide to power off to appear on the screen, and then swipe the power icon from left to right to turn off your iPhone. Wait approximately 30 seconds to make sure your iPhone completely shuts down. To turn your iPhone back on, press and hold the power button again until the Apple logo appears on your screen. After restarting your iPhone, trying connecting to your Bluetooth device again to see if it fixed the problem. Tap the switch again to turn Bluetooth back on. You’ll know Bluetooth is on when the switch is green. Swipe up from below the bottom of the screen of your iPhone to open Control Center. Tap the Bluetooth icon, which looks like a “B.” You’ll know Bluetooth is off when the icon is black inside of a gray circle. Tap the Bluetooth icon again to turn Bluetooth back on. 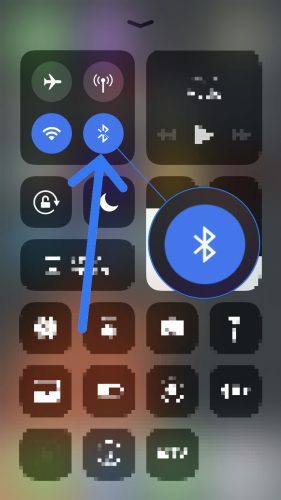 You’ll know Bluetooth is on when icon is white inside of a blue circle. After turning Bluetooth off and back on any of these ways, try pairing your iPhone and Bluetooth device again to see if it solved your problem. If a minor software glitch is preventing your Bluetooth device from connecting to your iPhone, turning pairing mode off and back on may solve the problem. Almost every Bluetooth device will have a switch or a button that makes it easy to take the device in and out of pairing mode. Press or hold that button or switch on your Bluetooth device to take it out of Bluetooth pairing mode. Wait about 30 seconds, then press the button or flip the switch again to put the device back into pairing mode. After turning pairing mode off and back on, try connecting your Bluetooth device to your iPhone once again. Tap the blue “i” next to the Bluetooth device you want to forget. When prompted again, tap Forget Device. You’ll know the device has been forgotten when it no longer appears under My Devices in Settings -> Bluetooth. Once you’ve forgotten the Bluetooth device, reconnect it to your iPhone by putting the device in pairing mode. If it pairs to your iPhone and starts working again, then your problem is solved. If you’re still having iPhone Bluetooth problems, we’ll move onto software resets. 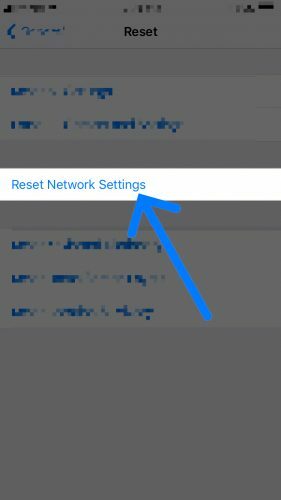 When you reset network settings, the data on your iPhone from all of your Bluetooth devices, Wi-Fi networks, and VPN (Virtual Private Network) settings will be erased. Resetting network settings will give your iPhone a completely fresh start when connecting to Bluetooth devices, which can sometimes fix more complicated software problems. Before you reset network settings, make sure that you know all of your Wi-Fi passwords because you’ll have to re-enter them afterwards. Tap Reset. (Reset is the last option in Settings -> General). Enter your passcode when prompted on the screen. Your iPhone will reset network settings and restart itself. When your iPhone restarts, your network settings have been reset. Now that your network settings have been reset, try to pair your Bluetooth device with your iPhone once again. Remember that all the Bluetooth device data that was on your iPhone has been erased, so you’ll be pairing the devices as if they are being connected for the first time. Our final software troubleshooting step for when your iPhone won’t connect to Bluetooth is a Device Firmware Update (DFU) restore. A DFU restore is the most in-depth restore you can do on an iPhone and is a last resort fix for troublesome software issues. Before performing a DFU restore, make sure that you back up all the data on your iPhone to iTunes or iCloud if you can. We also want to make this clear — if your iPhone is damaged in any way, a DFU restore can potentially break your iPhone. If you’ve made it this far and your iPhone still won’t connect to Bluetooth, you may need to repair your device. You can set up an appointment at the Genius Bar your local Apple Store or use Apple’s mail-in repair service. If you’re looking to save some money, we also recommend Puls. Puls is a repair service that will send a certified technician to you. They’ll fix your iPhone in as little as 60 minutes and will cover all repairs with a lifetime warranty. Your iPhone is connecting to Bluetooth once again and you can go back to using all of your wireless accessories. Now that you know what to do if your iPhone won’t connect to Bluetooth, be sure to share this article with your friends and family on social media. Feel free to leave us a comment down below if you have any other questions about your iPhone! Previous ArticleMy iPhone Won’t Update! Here’s The Real Fix. Next Article Why Is My iPhone App Store Not Working Or Blank? Here’s The Fix!